THE GOD OF HELL is a work written by American, Sam Shepard, in 2004. The God of Hell, in Roman mythology is the ruler of the infernal regions, he is called Pluto. Pluto is also a famous Disney character. The irony of the significance of the twin 'ownership' appellation is fodder for Mr Shepard's cri de coeur, in this play. Cooling down, perhaps, and looking for structure for his imaginative and poetic voice, he escaped the 'insanity' of the American zeitgeist and in 1971 went to London, where he became part of the Fringe movement there: THE TOOTH OF CRIME (1972), GEOGRAPHY OF A HORSE DREAMER (1974), the one act ACTION (1975), are some of the plays written and presented. Returning to the USA, his work became focused on an exploration of the American family, and the disaster of the concept that The American Dream had had on his fellow Americans, joining the usual pre-occupation of all the great American playwrights over its cultural history. 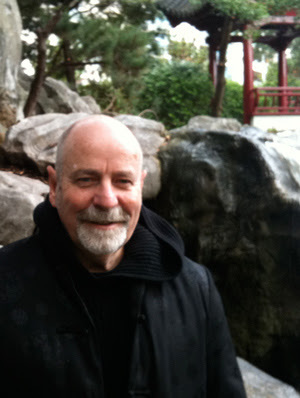 Mr Shepard had matured, remarkably, into a powerful, dramatically realistic (Gothic surrealism; symbolism, pumping as well) writer of unforgettable full length plays: CURSE OF THE STARVING CLASS (1977); BURIED CHILD (1978) - Pulitzer Prize in 1979; TRUE WEST (1980) - by some regarded as the 'family trilogy'- growing into FOOL FOR LOVE (1983), and THE LIE OF THE MIND (1985) - some say, making a 'quintet' of related plays. Now, in 2014, as we look back at the output of Sam Shepard, this latter collection of plays can be seen, certainly, as the apogee of this writer's trajectory. Shepard's STATE OF SHOCK, is an antiwar play, written in 1991, in response to the 'public euphoria' around the success of the Gulf War. It is subtitled 'a vaudeville nightmare' and its tone, tipping into a cartoon satire mode, comes from 'an acute outrage' of Shepard's, at that war and the masculinist codes that instigated and celebrated it. The play is forthright in its indictment of militaristic enterprise and nationalistic allegiance. The response to the work, critically and otherwise, was decidedly tepid, from all, except the die-hard fans of the writer - those of us wanting to will him back to his earlier days of 'greatness'. His play output, in this new century, has not changed much of that estimation. THE GOD OF HELL, written in 2004, can be contextualised, to the American Government's response to 9/11, and the subsequent 2003 invasion of Iraq, and the later revelations of torture and prisoner abuse of suspected terrorists in Abu Ghraib - the fascism of Republican America - and not , what the overstated Director's notes of Rodney Fisher, suggest, pointing to the recent agribusiness policies of the USA, and particularising the practice of 'fracking'. Indeed, Mr Shepard instructs that one of the characters, who is being electronically tortured appear "Wearing a black Hood", referencing an iconic image of the War on Terror, and ignored by Mr Fisher, in this production! I'm a fan of Mr Shepard's work, having seen BURIED CHILD, in San Francisco, at the American Conservatory Theatre (ACT) way back in 1980 (I directed its first Australian production at the National Institute of DramaticArt (NIDA), in 1984), and then sat in at final dress rehearsals of the first production of FOOL FOR LOVE (1983), at the Magic Theatre, in San Francisco, nearby Mr Shepard, with Ed Harris and Kathy Baker, on stage, bruised and broken (from the intensity of the playing). I was disappointed reading THE GOD OF HELL, ages ago, and this production down at the Old Fitz, has not convinced me otherwise. I am, nevertheless, grateful to see it off the page and on the stage. The promise of some reliable insight to a production of this play, begins with one's entrance to the theatre. Mr Fisher, has taken on the responsibility of Designer, as well as Director, and we are given an amazingly detailed realisation of a Midwestern farmhouse (even, more especially, as this is an Independent Theatre production, working within a limited budget, no doubt). It is cluttered with all the paraphernalia of the history of a long lived in house in the American heartlands, with the hobby of indoor plants overwhelming the rooms, winter bound, bleakly lit, its presbyterian austerity and 'livingness' palpable. (Lighting Design, by Ryan Shuker.) Think Jack Twist's (Jake Gyllenhaal) parents home in the later scenes in the Ang Lee film, BROKEBACK MOUNTAIN (2005). If only, then, that the detail envisioned by Mr Fisher, had continued in its fastidiousness, so that the stove worked better, and that the cooking of that breakfast bacon, with all its potential crackling pop and sizzle, had been added, more vividly, for the success of Shepard's usual complex poetics. Then, the classic Shepard onomatopoeic soundscape of 'real' sounds (along with the dripping plants, and distant cow mooing) - an instinctive residue from his musical background as a drummer, timpanist - part of his craft as a dramatist, part of his atmospheric dramatic toolkit, may have been revealed. Too, the olfactory 'given circumstances' of the 'reeking' bacon could have rendered the reality more convincingly, to help to disarm us to willingly, imaginatively, enter the world of the play. This play should move from hyper-realism demands, progressively, to a kind of fiendish "Pinteresque' menace (perhaps the influence of his time in London?) and, further, onto a surreal/gothic spectrum. The play, metaphorically, begins on Earth, and finishes on Pluto, with this God of Hell, in a terrifying world of both Roman, and in American terms, of Disney proportions! This Set Design, then, is a good beginning. Most productions of Shepard that I have seen here in Australia have, generally, been 'fast and loose' with this writer's creative imaging instructions in his text - it is interesting, to note the number of times Shepard has directed his own plays. Watching him at work in the Magic Theatre as Director of FOOL FOR LOVE, in 1983, was to watch his meticulous and fierce visual eye creating an intentional effect for his audience, even before the play began in action, and this included the organisation of the architecture of the space (windows, doors etc), the organisation of the furniture, to a precise angle, for the audience's subliminal absorption (sculptural), and colour (like a master painter), as accurately expressed as any of his spoken text, scoring. Lights up on Emma in blue terry-cloth bathrobe, slippers, moving methodically back and forth from the kitchen sink, where she fills a yellow plastic pitcher (N.B. colour clues) with water and carries it to the plants. She waters the plants and returns to fill pitcher, then she repeats the process. Frank, her husband, sits on the couch with pair of work boots in his lap, greasing them with mink oil. It's a while before they speak. These are classic Shepard choreographic instructions. Mr Fisher does not seem to have had the courage/patience to extend the 'dance' to the repetitive demands that Shepard is asking for: "It's a while before they speak". Vanessa Downing, who gives an outstanding performance as Emma, moves through the tasks of the writer with the kind of habitual routine of the 'isolated', a weary 'truth' fighting off the winter blues in an unwelcome environment, creating life against all odds, though, perhaps, unconsciously drowning it - a pioneer settler in the heartbreaking heartland of a wintery Wisconsin (although, the watering pitcher never seems to have the weight of water, ever, for Ms Downing to deal with! - no matter the overstated sound tap statement of filling it - Sound Design by Max Lyandvert). On the other hand, Tony Poli, as Frank, does not oil his boots, he, instead, appears to be 'acting' the oiling of the boots - it has absolutely, no reality. This stylistic dichotomy, between Ms Downing and Mr Poli, directed by Mr Fisher, undermines the conception of Shepard's world. If Frank is already well on his way to a metaphoric outer planet, perhaps Pluto, by 'pretending' to clean his boots with a kind of 'spaced out' demeanour, without us ever having seen him as an "earthling" beside his wife, then, it is here, right at the start, that this production begins to become unstuck. This Frank, indeed, does not appear to be just a patriot/farmer (albeit, a comatose to the real world) living a peaceful life in the country with his cattle stock - but an entirely peculiar being. Mr Poli's performance lacks truth, and has no arc, of any kind, and is difficult, subsequently, to believe, or to watch - the character's journey is brief (so disappointing, when one remembers his work in BANG, a few years ago). In the basement of this house there is a guest, a friend of Frank's - there has been some re-write here by Mr Fisher, to justify the casting of a significantly younger actor, adjusting, arbitrarily, the character of Graig Haynes (Jake Lyall), to being the son of a friend of Frank's, instead of the friend of Frank - who is afflicted with a contamination, that emanates a blue flash of light when he is touched. Unfortunately, in this production, on opening night, that surreal affect was not consistently presented. Mr Shepard's construct: shimmering weirdness and menace, thereby, undermined! in a dark suit with American flag pin in his lapel, short cropped hair, crisp white shirt, red tie, attache case in one hand ... with a large cookie dangling in the other, in the shape of an American flag, with red, white, and blue frosting ... .
That the character of Haynes, in this production, is not of the same generation as the patriots of the heartland of the USA, Emma and Frank, and instead, the same as Mr Welch, the invasive fascistic, American government agent, unbalances the intent of Shepard's symbolism in his text. Neither, Mr Lyall, or McIvor, (along, with the aforementioned Mr Poli) display the 'depth' of characterisation necessary, based on the satiric 'backstory' of Mr Shepard's intent, to bring proper clarity, or weight to the function/tasks of the writing style of THE GOD OF HELL. This playwriting is not reflective of the more iconic writing of the quintet of plays of the late '70's and early '80's, and demands a different creative state for entry, than that, that they, relatively, superficially, supply. Certainly, these actors demonstrate a sense of devotion to Mr Shepard, but give, essentially, a shallow conception and performance in this modern "fractured fairytale / fable" of angry 'cartooned' protest. Only Ms Downing seems to have the measure of the style and intellectual gameplay that Shepard is pursuing here - her performance is what holds one's attention to what is otherwise, a misconception of the play and its purpose. 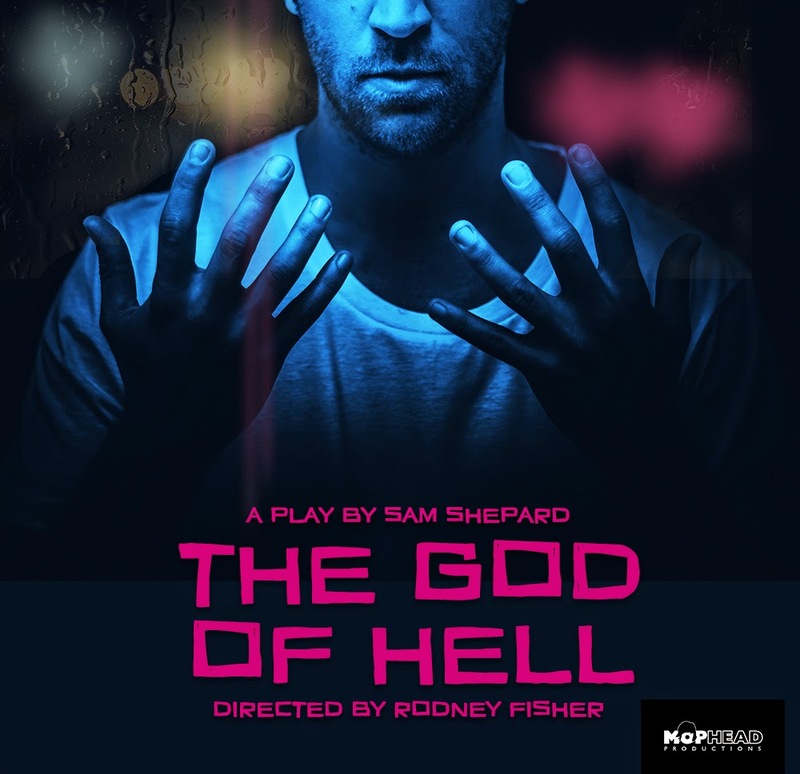 This, THE GOD OF HELL, at the Old Fitz is, both, minor in the writing expectation for Shepard aficionado's, and in production, an unexpected misfire from Mr Fisher. A disappointment. The cambridge Companion to SAM SHEPARD. Edited by Matthew Riudane. Cambridge University Press - 2002.